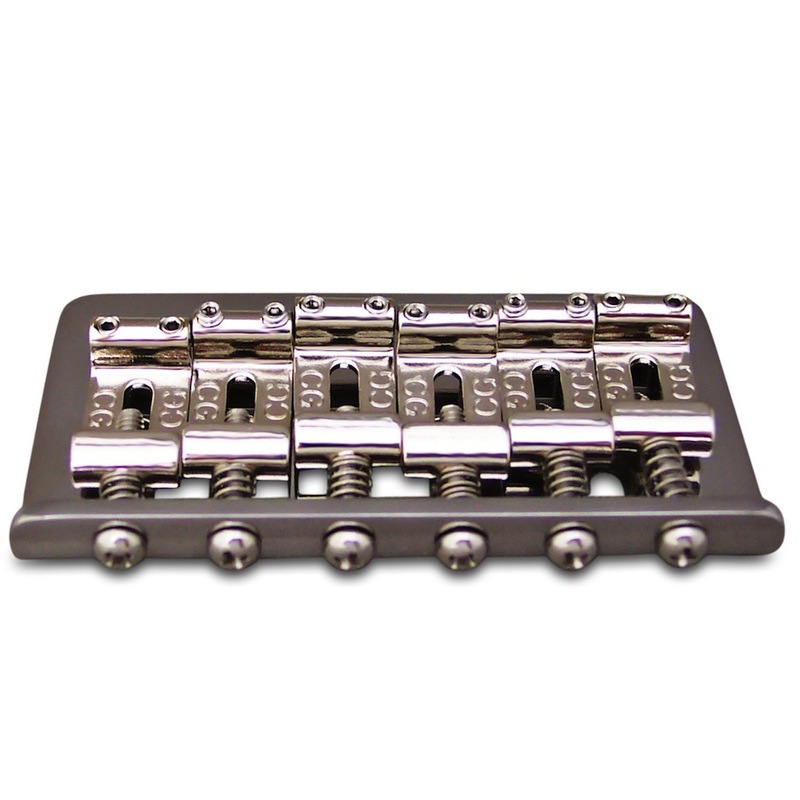 The finest vintage style bridge available today. 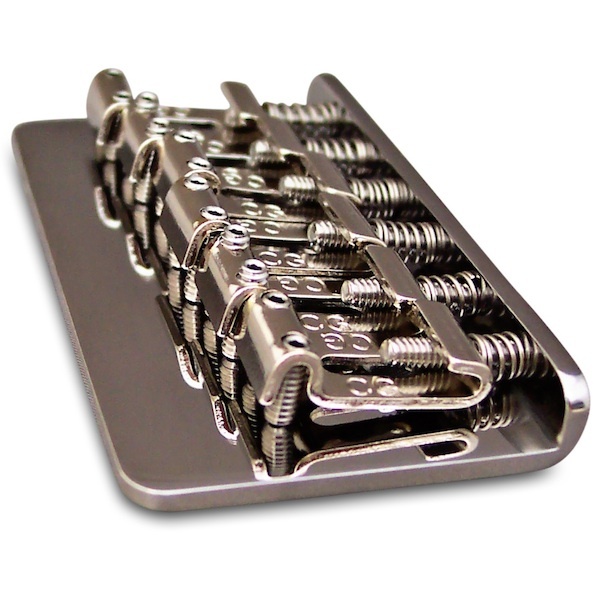 See what models this bridge assembly fits. 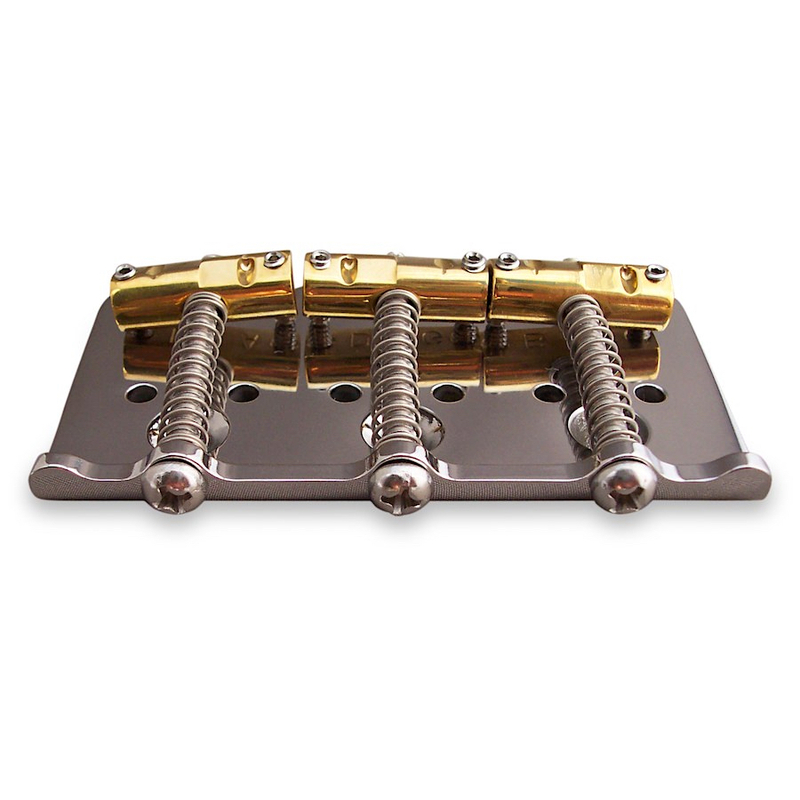 This bridge assembly is a drop-in replacement (no modification necessary) for Fender® Mexican Standard Stratocaster® guitars.Also fits other Stratocaster® style guitars with 2-1/16" string spacing and 2-1/16" mounting spacing, provided they have a minimum 1-3/4" thick body and have vintage-style routing. 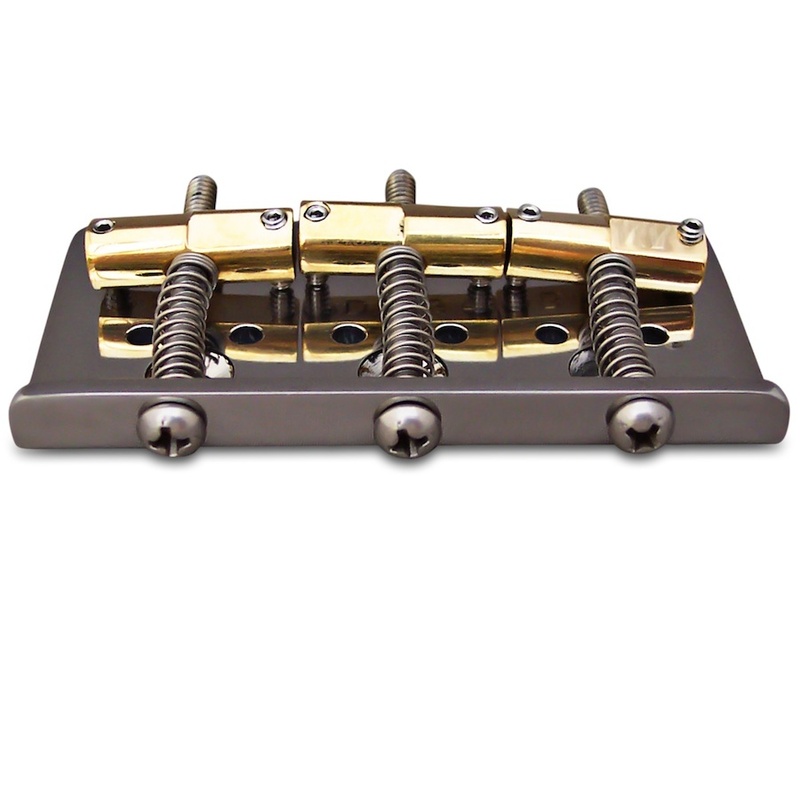 This complete Strat® bridge assembly is a direct fit for any body with vintage 2-7/32" (56mm) mounting, but has narrow 2-1/16" string spacing. 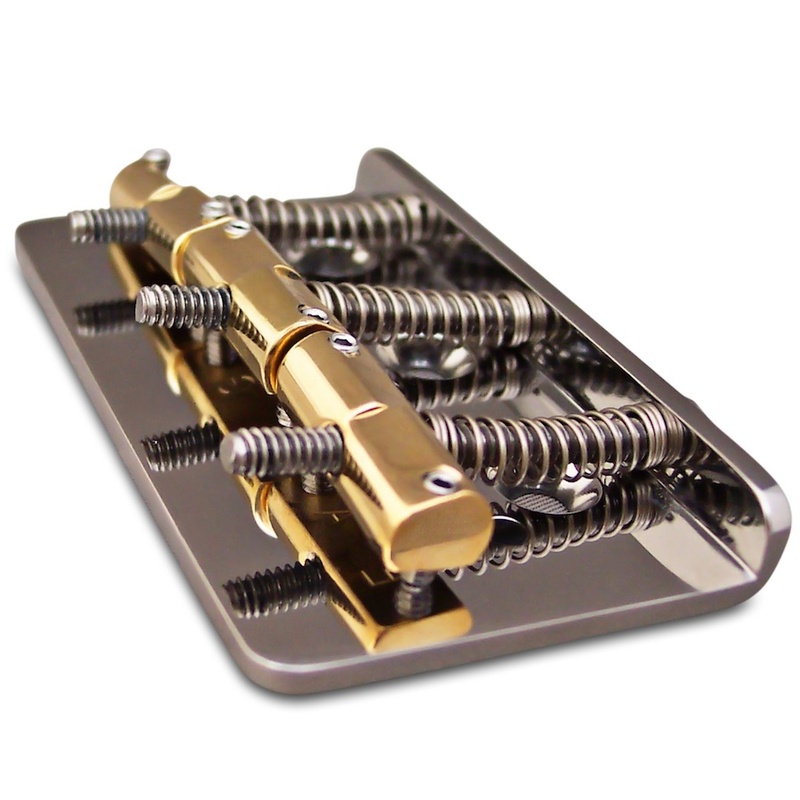 Callaham designed this bridge specifically for players who have the E strings too close to the edge of the fretboard or who use humbucking pickups. The narrow string spacing will position the strings over the poles of the humbuckers. The finest nickel vintage style bridge available today. 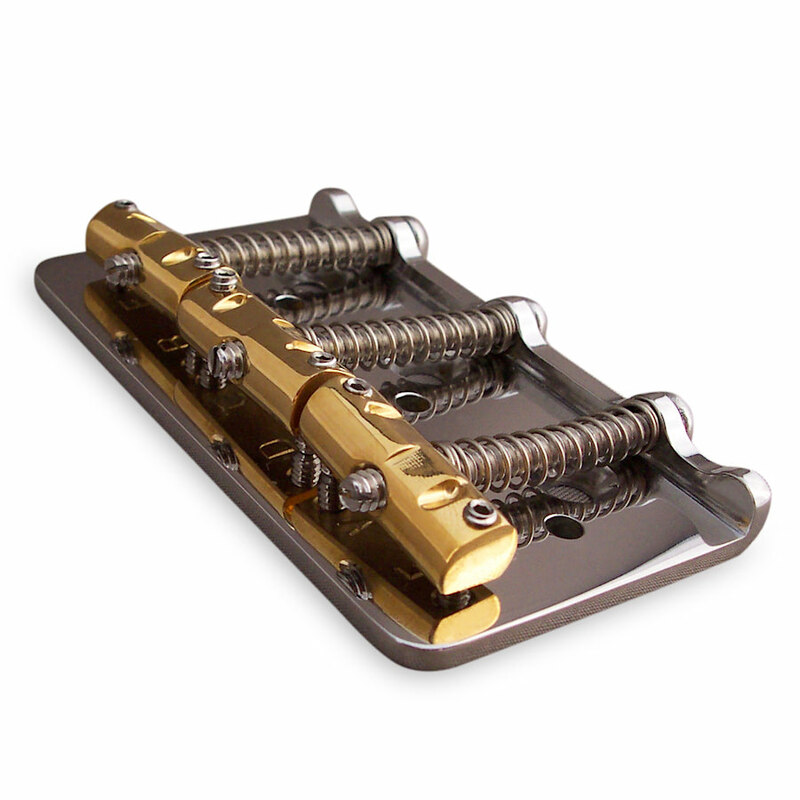 Complete vintage-style gold-plated Stratocaster® bridge assembly.